How much do you love your daily fragrance? For a surprisingly large number of women, the answer to this question is ‘not enough’. Many women wear the scent they’re used to purely out of habit; reluctant to make the effort to find something new, they stick to the same old fragrance even though it isn’t really ‘them’, often despite the fact that, secretly, they’re more than a little bored of it. While it may seem like pseudo-science, some people like to group types of scent into categories based on their olfactory qualities, and how those qualities relate to people’s personalities. Obviously, this process is extremely subjective and ought to be taken with a pinch of salt, but it can actually be a very useful means of narrowing down your choices when it comes to selecting a signature fragrance. Depending on who you ask, people will tell you any number of different fragrance categories not mentioned here, and may even leave out some that we have included. However, these are the major categories that we have identified as being the most common, so if you can group yourself into one of these areas of preference, you’ll be well on your way to choosing that signature scent. Floral – As the name suggests, floral scents are those that evoke the scent of flowers, either one particular bloom, or a bouquet of many. If you’re romantic by nature, feminine and open, floral scents are for you. 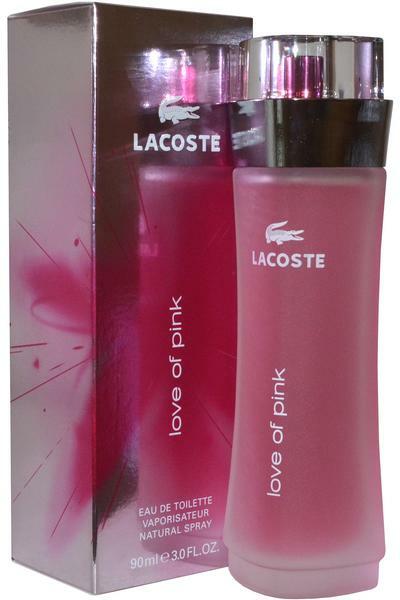 Try Love of Pink by Lacoste for a classic floral fragrance. Oriental– Oriental fragrances are a different animal entirely, being simultaneously sweet, spicy and animalistic, conjuring traditional imagery of the Middle and Far East. Wear oriental fragrances like Elizabeth Arden’s 5th Avenue After Five if you’re seductive, sultry and passionate by nature. Woody – Characterised by scents such as sandalwood, cedar and patchouli, woody aromas are natural, clean and crisp. If you’re energetic and love the outdoors, woody scents like those conjured by Givenchy’s Amarige should suit you well. Citrus – Very self-evident really; citrus aromas bring to mind such fruits as limes, lemons, oranges and grapefruits. Sharp, clean and invigorating, citrus scents fade fast but are refreshing and uplifting in the short term. Try Juicy Couture for an uplifting citrus spritz. Green – Green fragrances tend to be very subtle and fresh; think of cut grass, pine needles and other natural aromas. These are great for an everyday fragrance to wear to work or while out and about; try Emporio She by Emporio Armani and get to know what green is all about. Oceanic – Evoking the clean, open and invigorating smells of the ocean, oceanic scents are very modern and minimal. If you crave fresh air and open spaces, Davidoff’s Cool Water Woman could be the fragrance for you. Gourmand – Scents that are intended to come across as edible, gourmands can either take in sweet notes like chocolate or vanilla, or more savoury versions such as cumin and cardamom. For a sweet and tasty treat, try Diesel’s Loverdose and introduce yourself to the delectable world of the gourmand. Leather – Leather aromas can be quite masculine and take in timeless aromas such as tobacco, wood, leather and honey – think of a gentleman’s club. If leathery aromas sound like they could intoxicate you, give Dolce and Gabbana’s 18 La Lune a try. Now that you know the different fragrance categories, you should now be able to pick out a scent that will suit your personality down to the ground. Why not start by browsing our range of fragrances online? This entry was posted in fragrances and tagged eua de toilette, fragrance, perfume, women's fragrance, women's perfumes.